Fort Tryon Park is one of ten Scenic Landmarks in New York City. It is also listed on the National Register of Historic Places. It’s majestic viewsheds, architectural features, and world class landscapes set it apart and have received international recognition. Learn more about the history and high caliber of the Olmsted Brothers design. The area where the park is now was inhabited by Native Americans for centuries before it was colonized by white Europeans. The local Lenape tribe, the Wiechquaesgeck, called the area Chquaesgeck. They were described as living there in 1616 by the Dutch, who arrived and began attempting to drive them out; the land was finally taken by the Dutch in 1715. The earliest known Dutch name for the area was Lange Bergh (Long Hill). During the Revolutionary War, the area was known as Mount Washington and was one of the battle sites along the Hudson River and part of the Battle of Fort Washington, a seminal Continental army defeat in the American Revolution fought in what is now Bennett Park. The British named the site after their major general, William Tryon (1729–1788), the last British governor of colonial New York City. Margaret Corbin Circle and Margaret Corbin Drive are named after a defender of northern Manhattan in the battle against the British troops. When Corbin’s husband, John Corbin, fell during battle, Margaret took control of her husband’s cannon. Her cannon was one of the last cannons to fire during the battle. She became the first woman to receive a military pension. During the 19th century, wealthy New Yorkers built elegant estates around the Fort Tryon area, the most notable being the house of Cornelius K. G. Billings, a wealthy industrialist and horseman from Chicago. From 1901 to 1905, Billings reportedly spent more than $2 million building his mansion, Tryon Hall. In 1909, in honor of the Hudson Fulton Celebration, Billings funded a stele at the apex of the park memorializing Corbin and the Continental Army’s defense of the site. Remnants of the mansion can be found today on the balustrade wall of Billings Lawn, the beveled brick driveway, and majestic arcade. In 1917, John D. Rockefeller, Jr. (1874–1960) bought the Billings mansion and hired the Olmsted Brothers architectural firm in 1927 to design and develop the property as a park. He also envisioned providing stunning views of the rock ridge from the future Fort Tryon Park. Prior to development of the park, Rockefeller purchased the land on the New Jersey side of the Hudson – now known as the Palisades Interstate Park – to preserve Fort Tryon’s stunning views of the Palisades. Although the Billings mansion burned to the ground in the 1920s, Rockefeller incorporated the remaining structure into the park design. A small frame stucco gatehouse from the original property remained as well as the original estate walls, entrance arcade, and driveway. In 1935, Rockefeller presented the completed park as a gift to the City of New York. Frederick Law Olmsted, Jr., (1870–1957) son of the co-designer of Central Park and Prospect Park, spent four years transforming Fort Tryon Park’s rocky topography and soil into a manicured landscape. Olmsted designed Fort Tryon Park with promenades, terraces, wooded slopes, and eight miles of pedestrian paths. He was careful to preserve open areas and his design included an abundance of colorful plants that formed a beautiful foreground to the expansive views of the Palisades and the Hudson River to the west. He noted in 1927 that this park had one of the few unspoiled river views in Manhattan. The Met Cloisters opened in the north end of Fort Tryon Park in 1938 after Rockefeller bought sculptor George Grey Barnard’s (1863–1938) collection of medieval art. Inspired by Romanesque monasteries, the museum includes several cloisters, or courtyards, from actual European monasteries. Now a branch of the Metropolitan Museum of Art, it was designated an official New York City landmark in 1974. After several decades of splendor, park maintenance declined precipitously during the fiscal crisis of the 1970s. Due to budget constraints in the city, Fort Tryon Park’s promenades, gardens, and landscapes fell into deep disrepair. Olmsted’s meticulous landscape plan was disregarded and the Heather Garden became a collection of overgrown shrubs and invasive trees. Even the views of the Hudson River were obstructed. In 1983, Fort Tryon Park was designated an official city landmark, and a plan was developed the following year to fully restore the park as funding became available. The park’s Heather Garden was one of the first projects slated for renovation: designers extended bloom time and added plant varieties to create dramatic spring and summer displays, as well as captivating colors during the autumn season. The Greenacre Foundation funded the Landscape Restoration Plan that brought Fort Tryon Park back to life. Executed by NYC Parks and the landscape architectural firm Quennell Rothschild and Partners, working closely with horticulturist Timothy Steinhoff, the restoration adhered to the Olmsted Brothers’ 1935 plan, which still guides the work of the horticultural staff today. The Heather Garden was reclaimed, as were long-lost views of the Hudson and the Palisades. The Fort Tryon Park Trust has continued to build on that initial restoration work, raising an endowment to help target and preserve capital improvements, organize programming that activates the park, and fund supplemental staff. Historic photos from the Olmsted Archives as well as 1933 drawings of the Alpine Garden area by the Olmsted Brothers are guiding the restoration of the Alpine Garden as are the original water service drawings executed by New York City in consultation with the Olmsted Brothers. The renovated Alpine Garden and the park’s Broadway expanse now has water service, enabling horticulture and drinking fountains where there had been none since the 1950s. In 2009, prior to the Park’s 75th anniversary, the Fort Tryon Park Trust engaged public garden designers Lynden B. Miller and Ronda M. Brands to reinvigorate the planting design and develop a Framework Plan for enhancing and sustaining the Heather Garden for the long term. Miller and Brands built upon the unique horticultural, historic, and scenic assets of the Heather Garden while preserving the spirit of the original Olmsted Brothers plan. 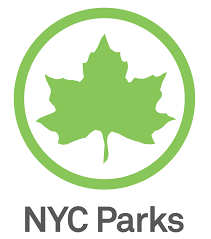 It was completed in 2014, fueled by NYC Parks gardeners and a $450,000 investment by the Fort Tryon Park Trust and its supporters. 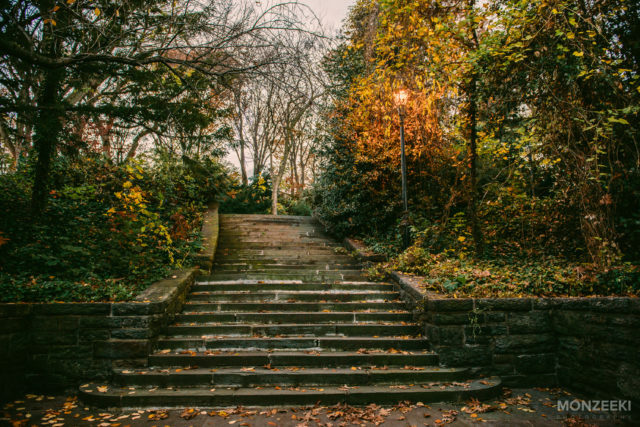 In 2012, NYC Parks began designing a $900,000 restoration of Fort Tryon Park’s pathways, landscape, and staircase just south of the Billings Arcade to restore the western area of the park by Riverside Park, including the triple-arched driveway. The project, completed in 2015, improved park pathways, created new seating areas and enhanced public access to the historic Billings Arcade, a remnant from the Billings estate that Rockefeller incorporated into the park’s design. It includes significant evergreen plantings, as it is a segment of the more-than-one-mile horticultural trail through the park, the Winter Walk. The Fort Tryon Park Trust wants to build on that investment and restore the arcade, which cost $250,000 to build when it was constructed in the early 1900s. Rockefeller, Jr. had the Olmsted Brothers incorporate the structure into the park, so that it seamlessly fits into the scenic landscape. 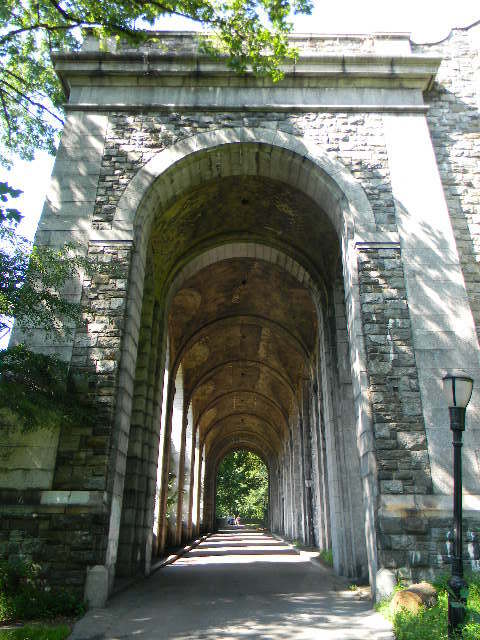 To get involved in the campaign to fully restore this historic treasure, contact us at info@forttryonparktrust.org. To read Christopher Gray’s article about the area, click here. In 2015, the Fort Tryon Park Trust invested $350,000 in capital funding towards the reconstruction of the park’s Jacob K. Javits Playground. Coupled with $1.5 million from New York City Council Member Ydanis Rodriguez and $600,000 from Borough President Gale Brewer, funding will upgrade this regional playground into an open space and recreational destination. The NYC Parks Landscape Architects’ design schematic was approved in September 2016 by Community Board 12; and in May 2017 by all NYC planning commissions. Hurricane Sandy came through the park in 2015. Read here about recovery and restoration efforts in the park. In 2016, the Broadway Initiative tops out at 48,000 volunteer hours and 48,000 plants invested in the Broadway side of the park. Improved gateway gardens are now found at Dongan Lawn and at the Broadway Bennett entrance. Volunteers have extended NYC Parks and the Fort Tryon Park Trust’s impact on this side of the park, clearing overgrowth, removing invasive species and making this side of the park more welcoming. In 2017, the City Comptroller, Scott Stringer, allocated $1.3M for the reconstruction of the Grand Staircase. This project will level all landings and stairs, and add new railings and lighting. The Grand Staircase connects the Broadway side of the park with The Met Cloisters museum. Work is projected to be finished in spring 2018. Public and private donations are key to keeping the park vibrant and preserving a high level of care. Please consider contributing today to support this unique national treasure. Hover over any year to read more about a Fort Tryon Park milestone!